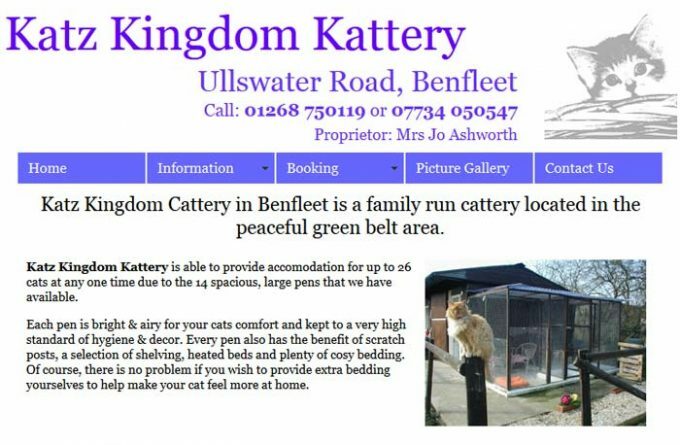 Enjoying a green and peaceful location in Thundersley, Benfleet, the Katz Kingdom Kattery offers accommodation in 14 spacious pens, each with outside runs. Every pen also has scratch posts, a selection of shelving, heated beds and bedding. For more information about Katz Kingdom Cattery, you can visit them in person, visit their website, telephone or send them an email (if available) using the form below.